Cancer has opened my eyes to the moments. Each one precious. Never again is anything mundane. What could be mundane living in the playground God created? May God strengthen us daily on our cancer journeys. Love you my friend. Praying for you. You’re so right, Elaine. Love and prayers back to you. 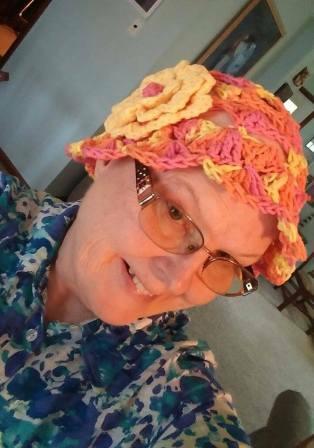 Brenda – thank you for being so transparent in your journey through this dreaded disease. Know that you are often in my thoughts and prayers. I wish you were closer so I could pray with you in person or buy you a meal or even a tea – anything to lift your spirits. Keep walking in God’s light. Much love, friend. Thanks for your prayers and support, Sue. Love you too. Thanks for your prayers, Kathy. Bravo, Brenda, for your attitude and for reminding each of us about our beautiful robes of righteousness.